The Austin Ten Drivers’ Club mag says that there are now only 19 AA telephone boxes remaining out of the 1,000 that once graced the roadsides of Britain before the days of mobile phones. 8 boxes are Grade II listed buildings. The Morris Minor Owners’ Club undertook a 3,000 mile Round Britain Marathon in a Minor, it took 30 days and raised £40,000 for Marie Curie Cancer Fund. 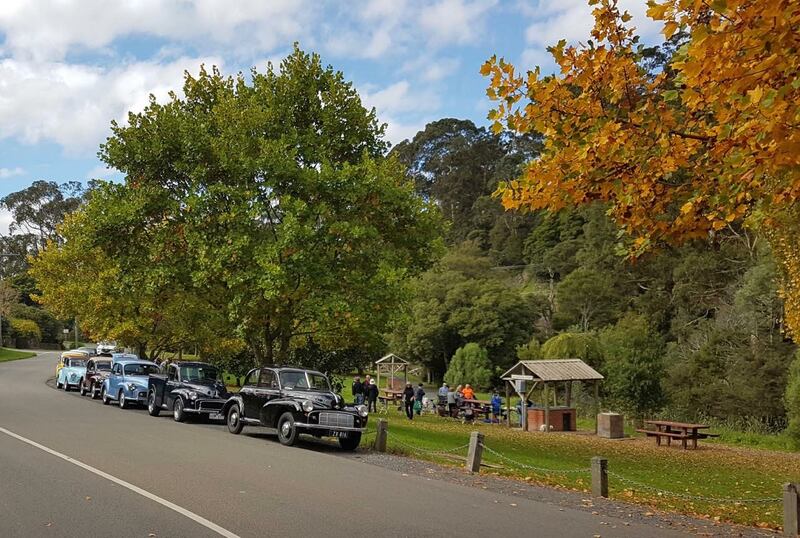 As a tribute to the Morris Minor Owners’ Club achievement for charity we show a pic of some Australian Morris Minors out for an Easter rally near Yarra Junction in Victoria.